Hi, we are Daisy and Nichola, and we are running a programme called Walking to Wellbeing with the Counselling Health and Wellbeing service. …but once you step outside and start walking it can be thoroughly enjoyable! Cardiff is a great city to live in and it’s almost totally walkable. However, some of us only get our daily exercise when we walk to and from lectures (maybe including a cheeky Lidl stop en-route). Sometimes, a sedentary lifestyle can leave us feeling down, and we might begin to feel unfit and unable to do activities that we used to be able to do with ease. Often, even beginning to turn things around can be a big effort. However, even doing simple exercise such as walking provides a whole host of benefits to the body and the mind. The Walking to Wellbeing programme is a fantastic opportunity to get out there and do some walking! We run regular social walks and we walk all around Cardiff. We walk a variety of routes, through places such as the beautiful Bute Park, the Civic Centre and around town. It is widely known that walking (and other forms of physical activity) is a great way to improve your general mood and brighten your day. After a short walk people often feel lighter and refreshed. Even with mild exercise, our body releases endorphins which make us feel good without being too strenuous. Just a bit of fresh air alone can help us feel revitalised. Well-needed after a few hours in the library! Studies have shown that mild exercise and staying active can actually improve our cognitive function, including memory, attention and processing speed. Walking can be both an individual and group activity. Even walking by yourself and seeing others out and about can relieve a sense of loneliness. Especially in Britain where most of us have the compulsion to say hello to passers-by! Light and frequent activity has consistently been associated with a whole host of benefits to our health. It can reduce bad cholesterol, reduce the risk of certain cancers, encourage weight loss, improves our circulation and cardiovascular system, help to combat insomnia…. The list goes on and on! As you probably know, Cardiff is a beautiful city, with places such as Bute Park, Cardiff Castle, Roath Park and Cardiff Bay right on the doorstep of the university. So why not get out and explore! You could even grab a hot drink to go en-route. This one might seem obvious, but it’s true. Walking is ideal for the student lifestyle, especially in such a pedestrianised city as Cardiff. Because walking isn’t as strenuous as other types of exercise, we can all do it and it’s a great way to begin to do more! Again, this one is pretty self-explanatory. Is the idea of paying for a membership to a gym that you don’t even know how to use a daunting thought? You don’t need to start big, let walking be the first of many small incremental changes to your health and general wellbeing, without having to spend any cash. The walks will run fortnightly (every two weeks). 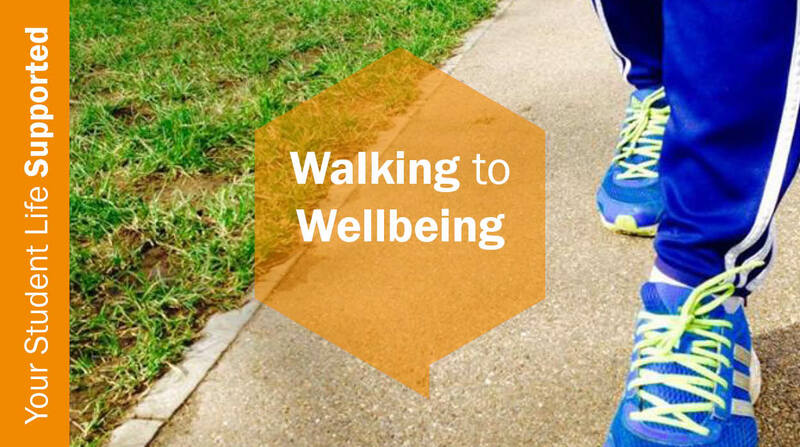 Find out more about our other walking to wellbeing sessions here. Daisy and Nichola, Wellbeing Champions.